Canada. They’re questionably good to us in the US of A. Even though their hockey players play in our National Hockey League, they get to jump ship when it really matters during the Olympics. Then there’s Lululemon, but even they’ve been in hot water due to “see through pants gate.” Enter poutine: A Canadian creation of true perfection originating in Quebec that consists of fries topped with a savory gravy and cheese curds. GCDC, the newish grilled cheese bar on Pennsylvania Ave, advances the dish in The Best Thing on the Menu: Canadian Tots. 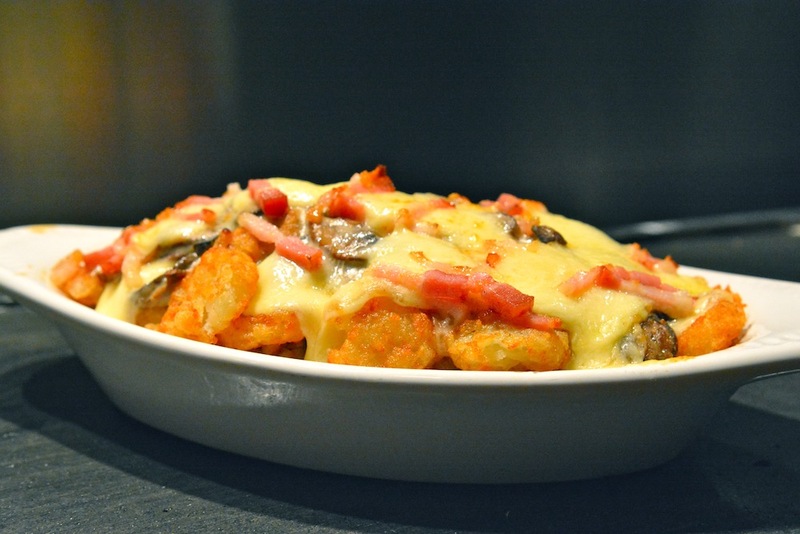 Instead of fries, flying saucer shaped tots are coated with cheese curds, a mushroom gravy and most importantly…bacon. That hint of smoke plus the crispy, squishy tater tot texture means they’ve one-upped Canada on this one. 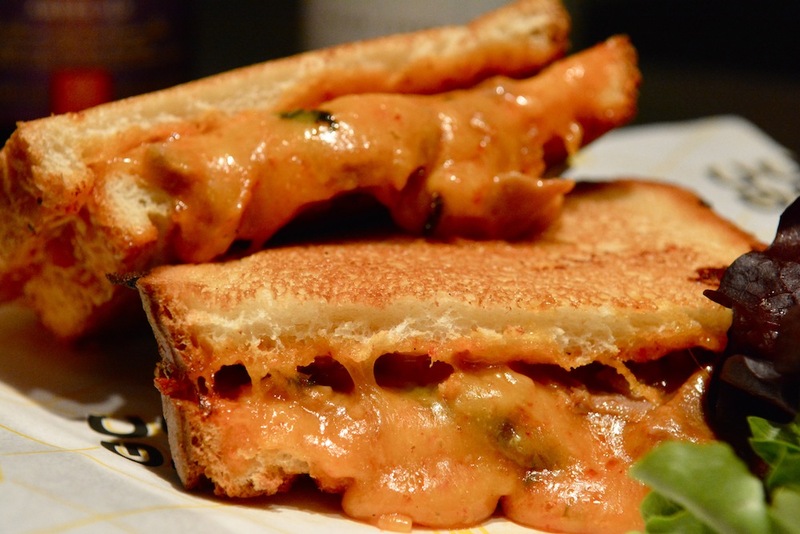 Since GCDC specializes in what’s between the bread, it’s worth noting that their best grilled cheese option is none other than the Kim-Cheese-Steak. This is NOT what results when Kim Kardashian heads to Philly for a cheesesteak. Rather, the sandwich gets its name from the kimchee that commingles with cheddar cheese and Korean-style roast beef. It’s vibrant colors and even more vibrant flavor will keep you coming back to this zippy fast casual spot that’s been crushing it since they opened. Canadian Tots not your BTM? Share your favorites in the comments section. You might also like Bub and Pops or Stachowski Market. This entry was posted in Restaurants and tagged Bacon, Canada, Canadian Tots, Fast Casual, GCDC, Grilled Cheese, Kim Kardashian, Kim-Cheese-Steak, Kimchee, Korean, Lunch Options, Pennsylvania Ave, Poutine, Tater Tots. Bookmark the permalink.